So here is what I designed based on Sketch MFTWSC182. 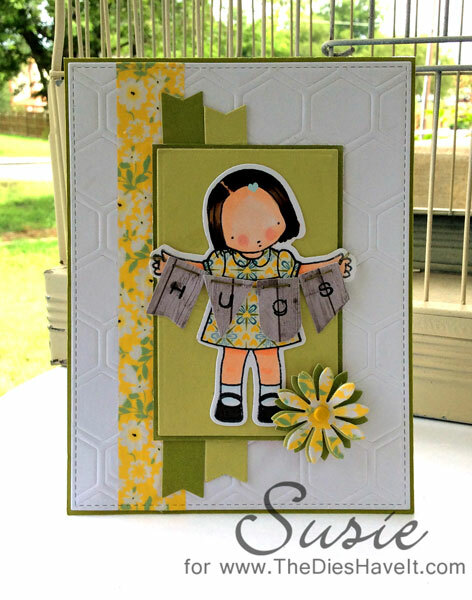 I had already colored and pieced my little Pure Innocence gal, so she became the inspiration for my card. The only tricky part was the banner, but it wasn't as hard as I thought it might be. The rest was easy - I just followed the sketch! 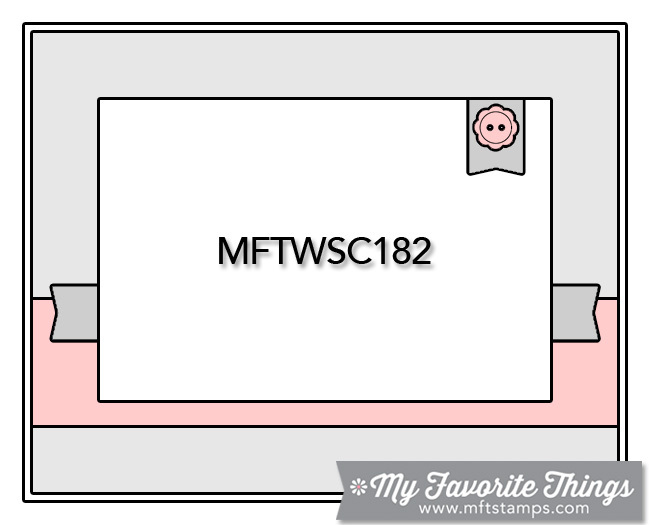 All of my products are from MFT Stamps which of course is my favorite company! And did you notice that I used some Washi tape as an accent and also to make the top layer of my flower? Oh yeah - I still have plenty though!! So you have all week to join in too. You can click right here for the link and here is the sketch for you to use. And did I mention they do a random selection for prizes? Oh yes they do! Have a fun day and I'll see you tomorrow for some digital layout fun. She is so cute! Love how you added the banner!